There are few things more frustrating in life than assembling IKEA furniture – except maybe moving IKEA furniture without it falling apart. 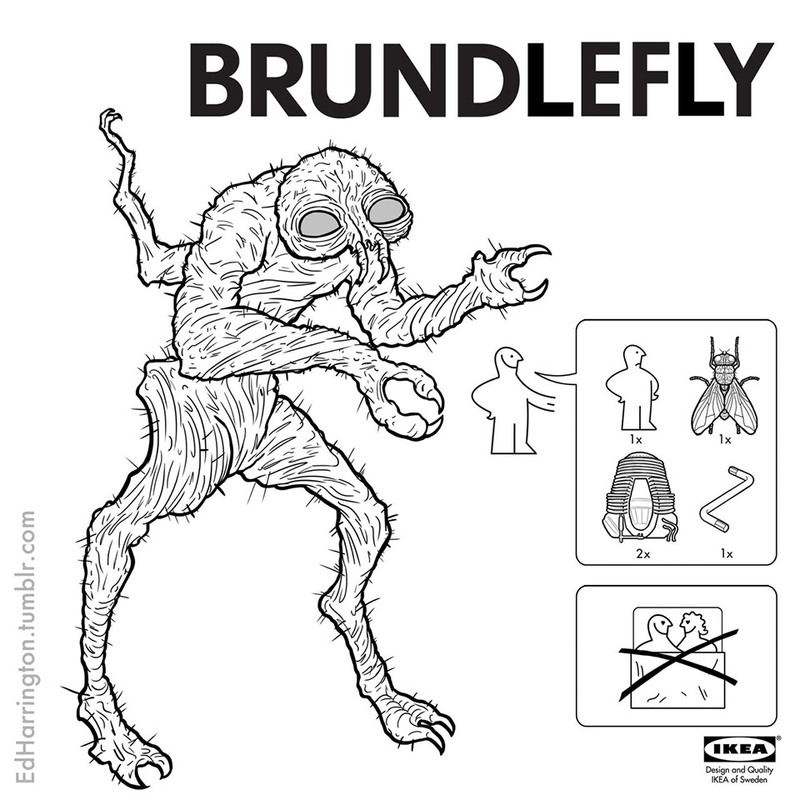 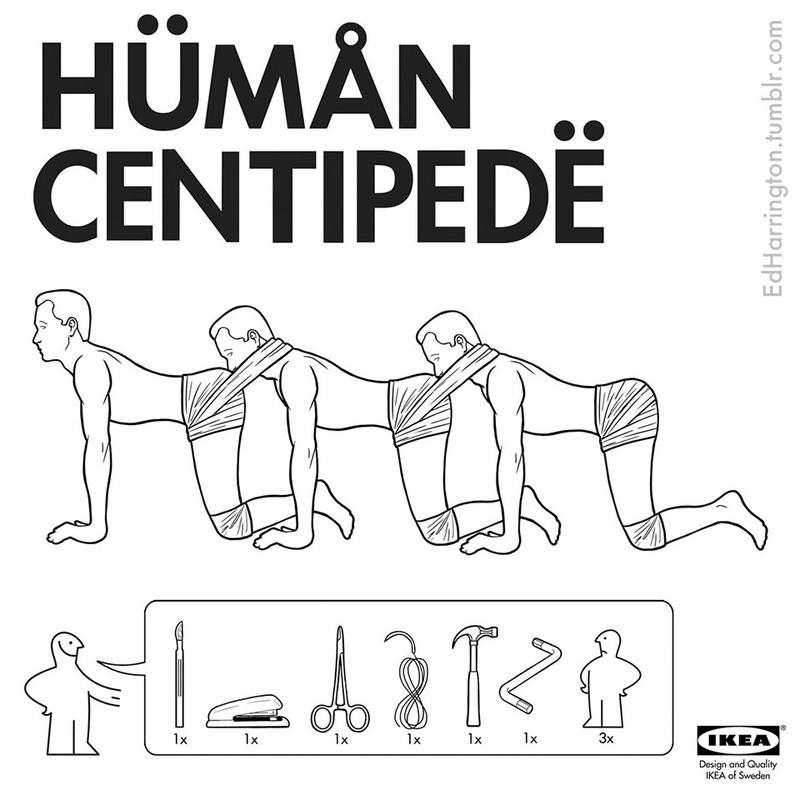 Illustrator Ed Harrington has taken the concept of the IKEA instruction sheet and applied it to the creation of monsters, freaks and other evil beings from science fiction and horror flicks. 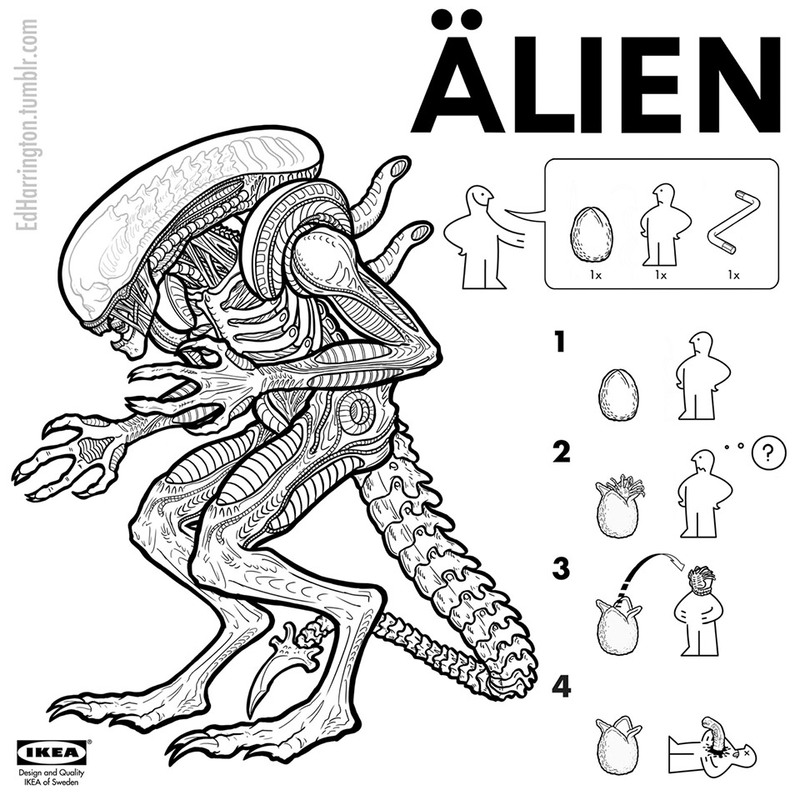 Easily my favorite has to be the ÄLIEN one, which offers a surprisingly simple assembly process. Just stand near and egg, have a facehugger hug your face, and wait. 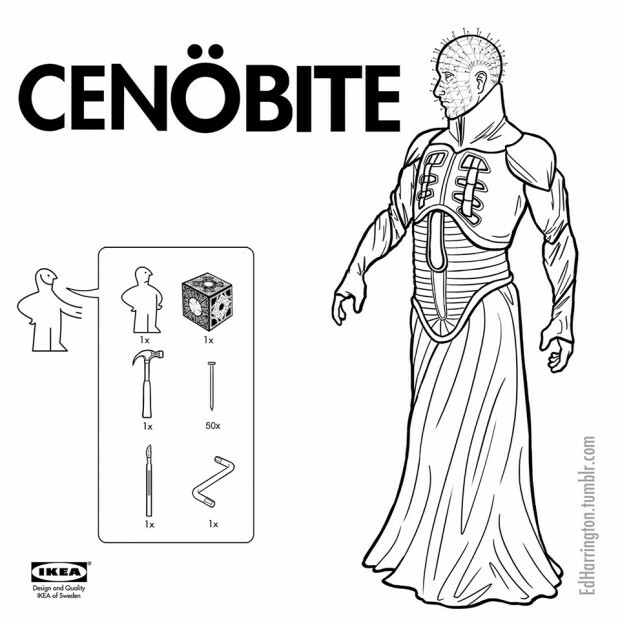 I’m not sure where the allen wrench comes into play, but I’ve always got at least one or two unused parts left over after an IKEA project anyhow. Other images in the series include Friday the 13th’s VÖRHEES, Hellraiser’s CENÖBITE, the always popular BRUNDLEFLY and the always disturbing HÜMȦN C‎ENTIPED‎Ë. 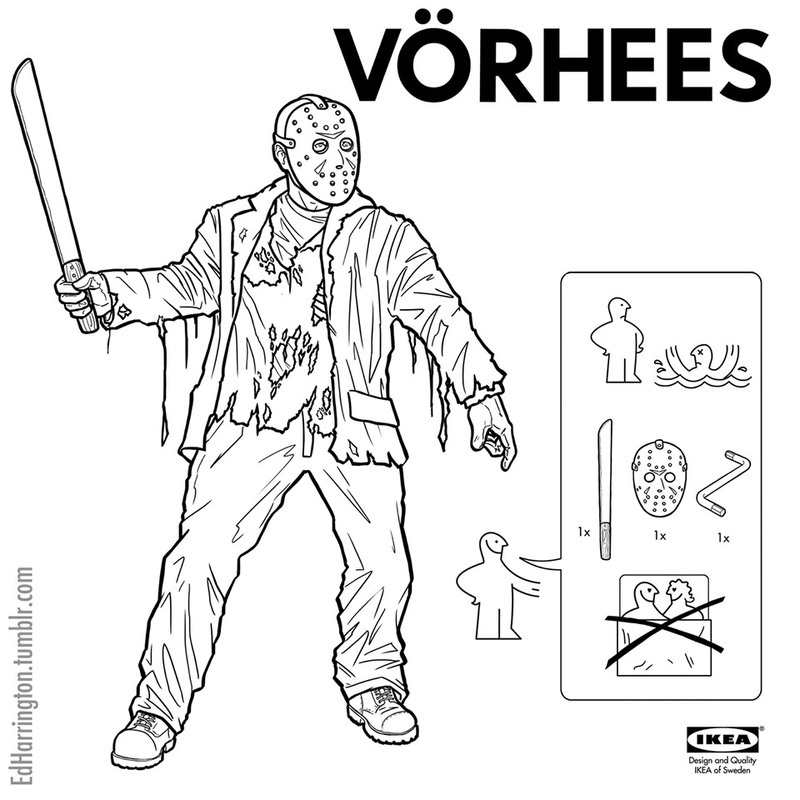 Be sure to stop by Ed’s Tumblr for more of his artwork.